Ensuring the safety of hair implant fibers is essential. At the same time, good aesthetic quality and durability should also be considered in order to maintain expected result over the years. The main features required are biocompatibility. The problem of alopecia affects both sexes at all ages with sometimes significant psychological sequelae […]. Automatic Biofibre Hair Implant is a soft surgery technique which is performed under local anesthesia, that enables an immediate aesthetic result without pain, scars or hospitalization. 179 – AUTOMATIC ARTIFICIAL HAIR IMPLANT: SAFETY AND EFFICACY IN ANDROGENETIC ALOPECIA. 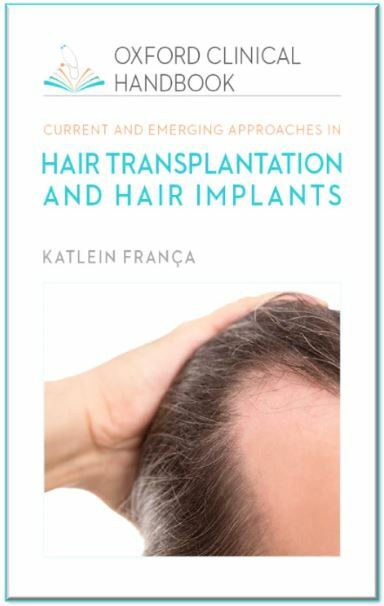 A multi – centre two years long prospective open clinical study was conducted in 5 countries located in four different continents from May 2015 to evaluate the clinical safety and efficacy of Automatic Biofibre Hair Implant […]. Overall a successful result was noticed in 97,94% of patients with great psychological satisfaction. 163. Agrawal M, Lotti J, França K, Fioranelli M, Roccia MG, Lotti T, The evolution of artificial hair implantation, J Biol Regul Homeost Agents. 2017. 149. B. AL NOORI, Biofibre hair implantation in Palestine, 15th Pan Arab Congress of Dermatology and Venereology, 4th International Palestinian Congress, in Ramallah (Palestine) on 8-10 November 2016. 148. R.P. RANGEL, Artificial Hair implant (Biofibre) Cabello Inorganico : Alternativa por el Tratamiento de la Calvicie, Encuentro de Cirugia Plastica DDF-UNAM, 4-5 Noviembre 2016 , Guadalayara, Mexico. 144. O. TAVIZON, Biofibre Hair Transplantation, the 8th A4M Thailand Congress of Anti-Aging and Aesthetic Medicine, 7-9 September , Bangkok, Thailand. 143. O. RAMOS, G. TCHERNEV, AA. CHOKOEVA, U.WOLLINA, GK. MAXIMOV, JW. PATTERSON, M.FIORANELLI, MG. ROCCIA, J. ANANIEV,T. LOTTI, Biofibre Hair Implant – Impact on the Quality of Life, Journal of Biological Regulators & Homeostatic Agents, 2016 Apr-Jun;30(2 Suppl 2):21-5. 137. SHETA M., Automatic artificial hair implants, Body Language, 2016 March : no. 79, volume 18, issue 2, pag 33. 127. N. SERDEV, A.M. D’ ERME, J. HERCOGOVA, Z. ZARRAB, A.A. CHOKOEVA , G. TCHERNEV, U. WOLLINA, T. LOTTI – Polyamide hair implant (Biofibre®): evaluation of efficacy and safety in a group of 133 patients, Journal of Biological Regulators & Homeostatic Agents, 2015 Jan-Mar; 29 (1 Suppl):103-9. 122. CARBONEL S., Sistema de Implante Capilar de Fibras Sintéticas biocompatible, Peru, Congreso de Cirugia Plastica y Reconstructiva Colegio de Médicos, Miraflores, Peru, 29 – 31 de Octubre 2014. 119. CARBONEL S. ,Tecnicas actuales de implante capilar, VIII Curso Internacional de dermatologia quirurgica, dermocosmetica y laser, Lima, Peru, 12-14 September 2014. 18. D’Ugo A., Aprecentaçao de fibra de cabelo biocompatível, XI Congreso Ibero-Americano de Cirurgia Plástica, XXXIII Congreso Brasileiro de Cirurgia Plástica, Rio de Janeiro, BRAZIL, December 05-10, 1996.